Do you want to save on your hotel accommodation in EVERY country around the globe? It’s possible right now! Otel.com informed is about a brand new discount coupon code for their website. You can now save money from hotel reservation across the whole world at Otel.com with this promo code. 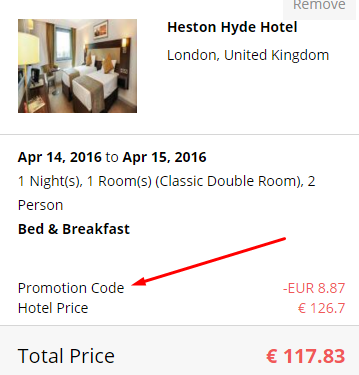 This Otel.com discount coupon code is valid until 3rd May 2016. UPDATE: we updated the article with brand new 8% off Otel.com promo code that works until end of August 2016. Enjoy! You can also book your hotel room at any time in the future with this promo code, it’s not limited to certain travel dates. To use the discount code, choose your hotel room and then on “Reservation details” page locate the “I have a promo code” link in the top right corner, click on it and then paste the discount code displayed above. Enjoy your cheap stay with Otel.com!